Founded in 2002 in San Francisco, chain~garden rocks audiences with heartfelt, energy-charged renditions of the most popular grunge tunes of the early to mid '90s by bands like Alice in Chains, Stone Temple Pilots, Pearl Jam, Soundgarden and others. The band is composed of seasoned musicians Dave Walker (drums), Morgwn McCarty (lead guitar), Brent McMicking (bass, acoustic guitar and vocals) and Adam Siegel (lead vocals). chain~garden has the look, the sound, and the attitude that made grunge such a powerful force in '90s pop culture. chain~garden is currently available for booking at rock clubs, private parties, benefits and corporate events in the Bay Area, LA and Las Vegas. 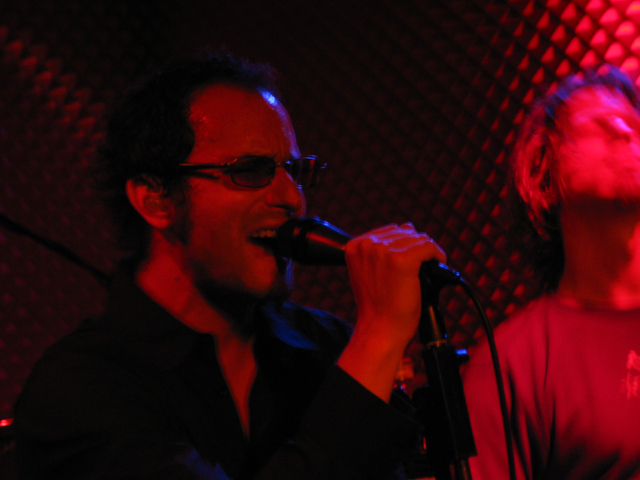 Adam Siegel is an accomplished, versatile vocalist and songwriter and has been rocking audiences for over 13 years in Boston, Tel-Aviv, Israel and San Francisco. In the late '80s and early '90s, Adam took a leave of absence from Harvard College to front the Boston-based prog rock powerhouse, Vital Image. After graduating from Harvard with a BA in Visual and Environmental Studies, Adam traveled to Israel for a brief residency at the Arad Arts Project before moving to Tel-Aviv where he worked in multimedia production. While living in Tel-Aviv, Adam performed with the Hungmen and collaborated on several projects with ace axeman and brilliant songwriter from the UK, Steve Moors. 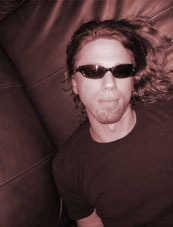 Adam joined chain~garden to help Bay Area rock lovers get their grunge back on, and continues to write and record original music. When he is not working or playing music, Adam enjoys hedonistic partying. Brent McMicking smashed his bass into the music scene with Intense, an original hard rock band, in the early 1990s. 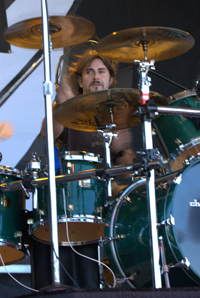 The Colorado based band recorded an independent album, "Visions," and embarked on a national tour with the Paul Shortino Band (Ruff Cutt), James Kottack (Scorpions, Kingdom Come) and Sean McNabb (House of Lords, Quiet Riot). Intense opened for Warrant, Skid Row, Ratt, Bullet Boys, Dokken, XYZ and Shotgun Messiah, to name a few. Brent formed chain~garden, a grunge tribute band, to play the genre of music that ironically wiped out the commercial rock scene of the '80s. "There is no denying that the music of the early '90s changed the music scene forever and paved the way for creative, meaningful heart felt rock music". Brent also runs a recording studio and hopes to help developing artists. Brent shreds on Rainsong 12 String acoustic guitars, Tom Anderson and Fender guitars and basses, Ampeg & Diezel amps. Dave started playing drums shortly after he learned to walk. His grandma bought his first drum set when he was about 4 years old. After literally destroying the toy kit, Dave was forced to play on cardboard boxes until he was 9, when he got his first real set of drums. Growing up with a father who was an avid guitar player, Dave was constantly surrounded by various genres of music and taught himself by listening and watching other drummers. His music career officially began while he was attending college at Cal Poly, in San Luis Obispo. There, he, along with some other musicians, started Peacefrog, a classic rock cover band. While playing local clubs on the central coast, he met up with another group of musicians who shared a common goal to play music for a living, and a common admiration for classic rock and the musical grass roots movement of the Grateful Dead, Allman Brothers and The Band, to name a few. 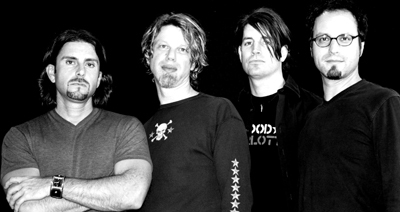 The group became known as Itchy McGuirk and quickly built up a large local following, which then spread up and down the west coast, and helped launch a successful career of recording and regular touring throughout the western U.S.
After the group disbanded, Dave took and extended hiatus to spend more time with friends and family, as well as travel. Like his tastes in music, Dave's musical influences cover the spectrum of music. They included recording legends such as Steve Gadd, Vinnnie Colaluta, Jeff Porcaro, as well as rock gods like John Bonham and Matt Cameron. In addition to holding down a full-time job and playing with Chain-Garden, Dave also gives an occasional lesson to younger, aspiring drummers, and donates some of his free time to the San Carlos Charter School of Rock. While drawn to music at a very early age, it wasn't until Morgwn McCarty heard AC/DC's "Back in Black" album that he felt his true calling for the guitar. "I was just totally drawn in and engulfed by that aggressive rock and roll guitar sound, especially Angus' playing." Born and raised in Hawaii, Morgwn saved up and bought his first guitar and amp, a cheap "Ltd." electric and a 10-watt solid state Fender amp. Primarily self-taught, he listened and played along by ear with his favorites: George Lynch, Angus Young, Tony Macalpine, Dave Navarro, Chris Poland, Vernon Reid, James Hetfield, and the list goes on… While attending the University of Oregon, Morgwn formed an original funk/metal/jazz trio known as "Infra-dig", and played at local watering holes. For the past 18 years, he has continued to refine and hone his guitar playing. Morgwn met up with current band members through his day job, and finding similar musical tastes and vision, the band effortlessly came together. Morgwn currently resides in Marin County with his gorgeous wife and two cats.